Washington Post review of two books on new-age advertising, one of which is Terry O'Reilly and Mike Tennant's "The Age of Persuasion" a lively, anecdotal primer that chronicles how advertising became, depending on whom you ask, a culture-shaping or culture-destroying $450 billion-a-year industry. They're seen here at a book launching in Toronto last year. O'Reilly (right) and Tennant (behind) are advertising veterans who collaborate on the Canadian Broadcasting Corporation program "O'Reilly on Advertising," and their book, says the Post, is filled with smart and breezy tales told from an insider's perspective. The Post's trenchant verdict on modern advertising: "For every clever and entertaining viral sensation such as Old Spice's "The Man Your Man Could Smell Like," there are countless other messages, from corporate-sponsored bloggers, YouTube activists and every medium or channel in the social media universe where it is nearly impossible to separate creative expression from insidious corporate pitch. Xinhua says Google, hurt by its recent tiff with the Chinese government, is going to go on a hiring spree in China. The Economic Times (Times of India). Omar El Akkad, the Globe and Mail's Technology Reporter quotes sources including Bloomberg. From the Daily Beast gossiper: "Sumner Redstone's longtime deputy, Karen Zatorski, has told CBS that the billionaire verbally abused her and displayed a violent temper, sources tell Peter Lauria. Is an embarrassing lawsuit next?" "Looking forward, we continue to be cautious on the Newspapers and Digital revenue outlook given our revenue experience in the first half of the year and the nature of the economic recovery we are experiencing. At Harlequin, we anticipate another good year operationally but the anticipated improvement in earnings is likely to be offset by the negative impact of the strong Canadian dollar on results." The New Yoirk Times says "he stepped out of the political vortex to score a political point. . . it wasn’t just another step in the blurring of news and entertainment. It was also another example of how politicians increasingly co-opt entertainment shows to make news. . . Obama is the first sitting president to appear on a daytime talk show — a momentous enough occasion to lure Barbara Walters, on leave to recover from heart surgery, back to the couch. Judging from her guest’s smooth performance — and enthusiastic welcome — Obama will almost certainly not be the last president to appear on a daytime talk show." The White House Correspondents Association meets this weekend to determine who'll fill the front-row vacancy that opened after Helen Thomas resigned. Recently, Fox News, Bloomberg News, and NPR have all sent letters to the board arguing why they deserve to move up. There's speculation among White House reporters that the front-row-center seat Thomas long held may be awarded to none of them. Instead, the Associated Press — which typically gets the first question at presidential news conferences — could move to the center, with another news organization, like one of those three, taking its place. Several news organizations that have scaled back in recent years are petitioning to keep their seats, including Newsweek, U.S. News & World Report, the Christian Science Monitor, the Washington Times, the Boston Globe and the Baltimore Sun. Several outlets now regularly covering the White House — such as the Financial Times, Fox Business, Al Jazeera, Reuters TV, Essence, and Talking Points Memo — are all vying for their own permanent place in the room. A new course to train journalists entering conflict zones will be offered by Athabasca University from September 15 to October 31. The field experience course will include francophone troops, and bilingual applicants will be given preference, the university said. "Athabasca University (Canada’s Online Open University) has developed a practicum project course, CMNS 451 “Journalism in Conflict Zones” in cooperation with the Canadian military," the announcement said. Journalists will receive the same preparation for Afghanistan as the troops. "The military has constructed a television studio and acquired professional recording equipment for the media cell. Two professional journalists with experience in war zones will be on-site to mentor the students, who are divided into teams representing differing points of view: Afghan journalists, international journalists, embedded national, and so on. Wallace Souza, a TV host and drug kingpin who Brazilian police say created a death squad in order to provide fodder for his highly rated reality-TV crime show, has died. Souza, 51, was a disgraced policeman, a popular member of the elected legislature and, according to authorities, a high-ranking crime figure in the jungle outpost of Manaus, which has long had a reputation for lawlessness. He was best known as the host of a gory midday serial called, Canal Livre, a sort of Brazilian America’s Most Wanted. After several years of bloodletting, the hemorrhaging appears to have been stanched in the U.S. newspaper industry. Major publishing companies are showing some of the first signs of improvement in advertising revenue since the economic downturn in 2007. The numbers are still decreasing, but the declines are leveling off, as auto makers, financial institutions and luxury retailers have begun to spend more on print campaigns. James Orban, publisher of The Citizen, has announced his intention to retire on Aug. 6 after 35 years with the newspaper. The decision was made public by Gordon Fisher, president National Post, and executive vice president Eastern Canada of Postmedia Network Inc. Fisher said in a news release that Orban has left The Citizen well positioned for the future having successfully led the paper through the recession. "One thing that never ceases to amaze me is the Canadian government’s relentless effort to spin the war in Afghanistan in a positive light. Equally gobsmacking is the number of media flunkies who all too eagerly give voice to this misleading nonsense. "Just last week, after a brief visit to Kabul, the foreign affairs minister garnered the headline "Cannon sees ‘strong signs’ of Afghan progress" in some Canadian newspapers. "Given that Cannon attended a one-day international conference that was held under extremely tight security in the Afghan capital, one has to understand that he would have "seen" only the inside of armoured SUVs and fortified meeting facilities. . . ."
Tablet computers such as Apple's iPad may allow the news industry a "re-set" and to start charging for content after years of giving it away for free, a senior News Corp. executive says. News Corp. chief digital officer Jon Miller also says it is too early to make any judgments about the experiment of News Corp.'s The Times with a paid website but charging online readers was "an idea whose time has come." 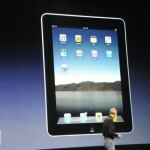 "I think we're seeing a fundamental shift in where content is consumed and it's on to these kinds of devices," he said. "These tablets are heavy media consumption devices, much more than the Web by itself and even the Web by itself and even smartphones." Nearly six months after a devastating fire forced CTV Ottawa out of its longtime home on Merivale Road, the Ontario Fire Marshal's office has released the cause of the blaze: undetermined. Mike Potvin, a fire investigation supervisor for the provincial agency, said the damage caused by the Feb. 7 fire was so severe investigators were unable to determine a point of origin or a cause. 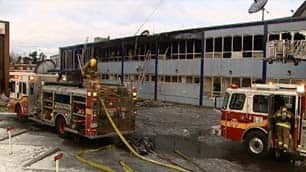 The fire, which gutted the site's studio at 1500 Merivale Rd., caused $2.5 million in damages. 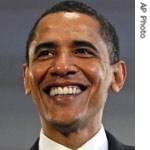 President Barack Obama is scheduled to appear on ABC's The View on Thursday. Executive producers Barbara Walters and Bill Geddie said this marks the first time a sitting U.S. president has visited a daytime talk show. They said the majority of the hour will be devoted to Obama’s appearance, which will touch on topics including jobs, the economy, the Gulf oil spill and family life inside the White House. It is scheduled to tape on Wednesday. Walters will make a special return to the studio for the occasion, joining co-hosts Whoopi Goldberg, Joy Behar, Elisabeth Hasselbeck and Sherri Shepherd. Other than a brief segment broadcast from her home this month, Walters has been off the air since undergoing open-heart surgery in May and had not planned to be back until September. Broadcaster magazine reports that the policy provides this sector with stable funding, and emphasizes the importance of local reflection as well as the participation of volunteers in all areas of a station's operations. The Community Radio Fund of Canada will see its annual funding increase by over $700,000, which will be distributed among the more than 140 community and campus radio stations. Created in 2007, the CRFC is a not-for-profit organization that supports the development of non-commercial, community-based broadcasters. The funds will be supplied by commercial radio broadcasters through a reallocation of the contributions they must make each year toward the development of Canadian content. The Commission will also provide campus radio stations with greater flexibility by replacing hourly advertising limits with weekly limits. "Digital TV transition could lead to new divide"
"In just over one year, Canada is scheduled to complete the digital television transition, as stations switch from analog to digital broadcasts. While cable and satellite subscribers will not notice the change, over one million Canadians that rely on over-the-air signals will be affected. . . .
"Contrary to popular belief, many Canadians still rely on over-the-air signals. In its latest update on the transition, the CRTC estimated that up to 857,000 households in larger markets do not subscribe to either cable or satellite. On top of those households, tens of thousands of rural households also depend upon over-the-air signals.. . ."
Amanda Lindhout who was held prisoner in Somalia, says 11 young Somali women have been selected to go to one of six different institutions in the country under the Global Enrichment Foundation that she founded. She says hopes she will be able to raise enough money to have 100 women studying in four years time. 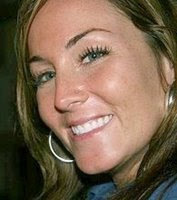 Lindhout was kidnapped outside Mogadishu along with Australian photographer Nigel Brennan in August, 2008. They were freed last November after their families teamed up to hire a hostage negotiation group. She said she came up with the idea for the scholarships during what she called "the darkest times" of her captivity. Rare pictures of the Royal family have been posted on the internet after Buckingham Palace opened an account on photography website Flickr. The images of recent royal events, archive pictures of the Queen, Prince of Wales and other members of the monarchy can be seen from Monday. More than 600 photographs have been added to the British Monarchy's Photostream account. The images will be updated as new engagements and events take place. The development follows the launch of the updated royal website, British Monarchy Twitter account last year and the Royal Channel on YouTube in 2007. Click on the title to view the Royal Flickr page. Dale Anne Freed, 61, died Thursday at Mount Sinai Hospital after what her family termed “a ferocious but brief” struggle with a suspected cancer of the bile duct. A veteran Toronto Star journalist — she joined the paper in 1986 — Freed started out writing about fashion and furniture, but she found her true love in the early 1990s as a city general assignment reporter, a hectic and deadline-oriented specialty that brought her into contact with the gritty side of the city. Trevor Coulombe, 38, a respected government of Alberta spokesman, died after he rode his motorcycle off a road in British Columbia's Okanagan Valley while trying to navigate a curve. He was the chief spokesman for the Children and Youth Services ministry, where he'd worked for about a decade. 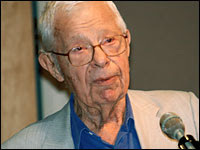 Daniel Schorr, who became the elder statesman of public radio after decades as a feisty television broadcaster for CBS and CNN, has died. He was 93. Schorr died Friday morning after a short illness at a Washington hospital, National Public Radio announced. His last broadcast on that network aired July 10. Conrad Black ordered to stay in U.S.
Conrad Black has been ordered to remain in the United States until Aug. 16, when he is scheduled to appear before Judge Amy St. Eve — the same judge who sent him to prison 28 months ago — to provide a full financial disclosure. Lord Black, who appeared smiling in court sporting a blue suit and red tie, could face the judge sooner if his attorneys manage to paint a more accurate picture of his financial situation before the August court date. Apparently the completion of the routine government forms could not possibly be filed in time for Friday hearing. His lawyer, Miguel Estrada, said the media baron may have to live in a hotel until his next court appearance, where he will likely request that Lord Black be allowed to return to his Toronto home. Postmedia Network Inc., the company that now owns the National Post, Ottawa Citizen, Vancouver Sun and eight other daily newspapers, said it plans to take a close look at its union contracts in western Canada, among other things. Postmedia president and chief executive officer Paul Godfrey said he held a seven-hour meeting in Toronto with the members of his new executive team on Tuesday and challenged them to come up with their vision for the company within the next 30 days. Aside from repeating that the newspaper publisher plans to be a “digital-first” company, Godfrey provided few new details. Godfrey repeated that his goal is to take the new company public before the end of the year. "Indeed, 12 years ago, even the BBC agreed with me. In 1998 Age Concern commissioned its own investigation which revealed “older men” far outnumbered older women on BBC screens (72 per cent versus 28 per cent female), and noted “older women were considerably under-represented in spite of the fact that older women in the real world outnumber men”. The BBC was immediate in its response: it had “a sense of responsibility”, it said, as a public service broadcaster, to right this anomaly. "Yet what happened to this report and what has happened on our screens since? Nothing. The obsession with youth and the rejection of older women in television has increased." 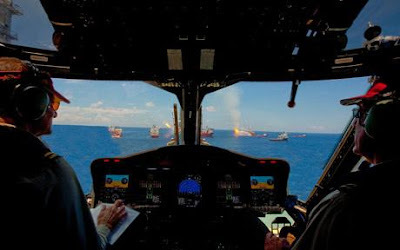 Remarkable mendacity at work in BP presentation of pictures of the gulf oil spill site. Some of the deceptions are hilarious. Critics said they can see a control tower in the upper left of this picture which purports to show a company chopper over the well site. Telegraph story is good read. Disclosure from Postmedia indicates that of the $925 million paid for CanWest paper they put up $250 million Canadian. Interesting Globe and Mail item linked above on the most asked drawing room question: "Where did Black get the money?" The article explains the relationship between the two men and the following is from Wikipedia. 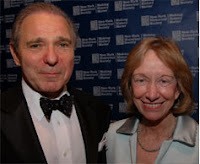 The noted conservative is seen here with well-known liberal Doris Goodwin at a society event. Roger Hertog is an American businessman, financier and conservative philanthropist. Born and raised in the Bronx, Hertog pursued a career in business. Hertog has been associated with various conservative and neoconservative think tanks and publications. He is a chairman emeritus of the Manhattan Institute and board member of the American Enterprise Institute and the Club for Growth. He also helped found the Shalem Center in Israel. He was a part-owner of now-defunct New York Sun, was a part-owner of The New Republic, and is a board member of Commentary magazine. Inspired by John Lewis Gaddis and Paul Kennedy's Grand Strategy Program at Yale University, Hertog funded similar programs at Duke University and elsewhere. Outside of politics, Hertog has been a supporter of arts and culture in New York City and has held various responsibilities in the New-York Historical Society, the New York Public Library, the Metropolitan Museum of Art, and the New York Philharmonic. On November 15, 2007, Hertog was awarded a National Humanities Medal in a White House ceremony with President George W. Bush. The citation accompanying the award praised Hertog for "enlightened philanthropy on behalf of the humanities. His wisdom and generosity have rejuvenated institutions that are keepers of American memory." $2 million U.S .turns him loose. RELEASE -- Postmedia Network Inc. today announced the appointment of Wayne Parrish as Chief Transformation Officer. “It’s great to have Wayne join the team,” said Paul Godfrey, President and CEO, Postmedia Network Inc. “I have had the pleasure of working with Wayne in the past and know he has the right focus and strengths to champion the business transformation ahead.” Mr. Parrish, who spent the first two decades of his career as a journalist, was a senior executive with Sun Media Corporation during a period that culminated in a management buyout of the company from Rogers Communication Inc., and eventual sale to Quebecor Inc. He has been General Manager and Executive Editor of the Toronto Sun, Vice-President-Strategy at Sun Media, Chairman, President & CEO of the CANOE Online Network, President & CEO of Quebecor New Media, President & CEO of Sport Media Group and, most recently, Executive Director and CEO for Canada Basketball. SCOTUS decision of recent days by which Conrad Black was able to ask, successfully, for bail. Explanation by law journal editor Marcia Coyle is useful to understanding the strength of the case against Black. Excellent AP wrap up on Conrad Black's successful bid for bail pending his appeal of the main convictions registered against him. AP includes a clear explanation of the further hurdle which Black will have to leap, regardless of this appeal. Anchors and former anchors complaining in The Telegraph about being retired by BBC. Steve Jobs show-and-tell suggesting Blackberry is prone to antenna issues similar to iPhone 4 draws a sharp response from Waterloo executives. 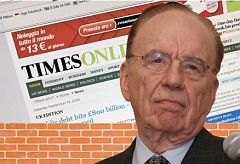 Reuters item linked above reports: "The Times newspaper's website has lost two-thirds of its audience following the introduction of a paywall -- a steep decline, but not as bad as some in the media industry had forecast, the Observer newspaper said. Citing data from Experian Hitwise, which monitors Internet traffic, the Observer said visits to The Times's website had fallen to 33 percent of the levels seen before readers were asked to register and pay for access. It said the site had been expected to lose 90 percent of its traffic, but the drop may have been softened by an introductory offer for customers"
Who is he and how did it work? Isaiah Mustafa was born on 11 February 1974, the youngest of seven children, and studied history at Arizona State University. After graduating with BA Honours Mustafa was an American football player between 1997 and 2000. He played for the Tennessee Titans before moving to Europe to represent the Barcelona Dragons. As Star article says: "A team of digital gurus and a bare-chested former NFL wide receiver named Isaiah Mustafa, created an unprecedented viral video campaign that made Barack Obama's presidential victory speech look like nothing more than a blip on YouTube's radar. Old Spice's “The Man Your Man Could Smell Like” ads, staring Mustafa as a chiseled dreamboat moving through surreal landscapes while brandishing Old Spice body wash, launched in February and have generated millions of hits. This week, Old Spice and ad agency Wieden + Kennedy took the campaign to an extraordinary next level. The masterminds answered questions on Twitter, Facebook and other social media sites with personal video messages. By Wednesday, the team had churned out 187 video responses, some within minutes of receiving questions from viewers, and all of them hilarious." Incredible success of Old Spice social media campaign is recorded by TechNewsWorld. One of a number of Youtube offerings (above) is soaring well over two million viewings. "Maybe someone will find a way to measure just how much office productivity fell off a cliff earlier this week when Old Spice began its campaign involving its sexier-than-thou commercial spokesman, Isaiah Mustafa, soliciting questions on the company's Twitter feed and then (almost immediately) answering them. You've seen his TV spots, no doubt: Mustafa's always-shirtless character, who probably did just walk off the cover of a Harlequin romance, strolling from one manly-man situation to another in the space of 30 seconds, usually while dressed in a bath towel. "Hello ladies," he croons. "Does your man look like me? The Globe and Mail Reports that in a private letter sent to Quebecor on July 5, the CRTC rejected Quebecor’s request for a rare must-carry license. It would have guaranteed distribution by all cable and satellite firms – and the subscriber fees that come along with that distribution. The license Quebecor requested – known as a Category 1, soon to be Category A – is rarely granted, and in March of this year, the CRTC announced that it would not consider any new applications for those licenses before October, 2011. Conrad Black is being sued for $71 million in back taxes by the U.S. Internal Revenue Service, which alleges he failed to report $120 million in U.S. income during the period 1998 to2003. The IRS claims U.S. federal tax court that Black filed no tax returns and paid no tax on $120 million (all figures U.S.) in taxable income between 1998 and 2003, according to media reports. According to Forbes magazine, Black — currently serving a 6 ½ year sentence in a Florida prison — is challenging the claim, arguing in court filings he was not subject to U.S. taxing authority. Former Black business partner David Radler, who is being sued by the IRS for $66 million in unpaid taxes of income of $111 million, is advancing a similar claim, arguing he never lived in the U.S. and, during his years as publisher of the Chicago Sun-Times, stayed in company-supplied housing, Forbes reports. Also being sued is Peter Y. Atkinson, a Toronto lawyer who acted for Ravelston, Black’s private holding company. The IRS is seeking $1.3 million from Atkinson on what it says was unreported income of $2.2 million in 2000 and 2001. In a 21-page filing, Patrick Fitzgerald, the U.S. Attorney for the Northern District of Illinois, urged the U.S. Court of Appeals for the Seventh Circuit, to reject Lord Black’s request for bail, saying that even though the U.S. Supreme Court has thrown his convictions into question, the former media baron’s three convictions on mail and wire fraud and one count of obstruction of justice would not be affected. While the female appointments at CTV and Global were roundly pronounced as “firsts” in Canada, Quebec's francophone networks have led the way for years. America's Got Talent" judge Piers Morgan appears to be the front-runner to claim the CNN talk show long hosted by Larry King, and he has won permission from NBC, which airs the hit talent contest, to pursue the CNN job. Appearing Wednesday on MSNBC's "Morning Joe," NBC Universal Chief Executive Jeff Zucker noted that Morgan is contractually bound to continue on "America's Got Talent" for three more years. "Having said that, I can also tell you that he has approached us about asking us to do another job as well," said Zucker, without naming CNN or its talk show soon to be vacated by King. However, the CNN job, were Morgan to land it, would occupy "second position" in his work priority. "After long and serious consideration, we have decided that The Gazette will cease publishing a print version of the paper on Sundays as of Aug. 8. However, The Gazette will continue to provide full coverage of news, entertainment and sports throughout the weekend on montrealgazette.com, as well as on habsinsideout.com and alsinsideout.com. In its 22-year existence, the Sunday Gazette has struggled to find significant advertising support to cover the costs of printing and distribution. Subscription rates and single-copy sales cover only a small percentage of total costs; therefore, The Gazette has decided to focus its resources on the six remaining print editions and on the Web." Corus Entertainment Inc. posted a $31.4-million profit for its fiscal third quarter, as the broadcaster's revenues increased 12 per cent over last year with the Canadian economy's recovery from recession. The Toronto company reported Wednesday its profit was the equivalent of 39 cents per share and contrasted with a year-earlier loss of $145-million or $1.81 per share. The year-earlier loss included a $172.5-million charge to reflect the impaired value of its broadcast licences and goodwill assets. Corus is a market leader in specialty television and radio with additional operations in pay television, television broadcasting, children's book publishing and children's animation. "People in high dudgeon about its arrival should calm down. Sun TV won’t be watched by many people, if the audiences for the other all-news channels are any guide. Most of those who watch will be committed right-wingers looking, like most consumers of news and information, to have previously held opinions reaffirmed. "Sun TV isn’t going to make, break or even influence the shape of Canadian politics, whatever the ideological fervour of Kory Teneycke, Prime Minister Stephen Harper’s former spokesman now in charge of assembling the Sun TV challenge." A group of Israelis wounded by Hezbollah rockets during the 2006 war are suing the Arab news network Al-Jazeera for allegedly aiding the Lebanese guerrillas with its reporting. An Israeli lawyer representing the group of 91 said Tuesday the lawsuit was filed Monday in a New York federal court. The plaintiffs seek $1.2 billion in damages. Lawyer Nitzana Leitner says they claim the Qatar-based network intentionally reported locations of missile strikes in Israel live during the month-long fighting between Israel and Hezbollah, which allegedly enabled Hezbollah to aim its missiles more accurately at Israeli targets. There was no immediate comment from Al-Jazeera. The fighting killed 1,200 people in Lebanon and 159 Israelis. The Financial Post's Theresa Tedesco and Jamie Sturgeon report in detail on how Paul Godfrey clinched the CanWest Newspaper deal. After seven months of court proceedings the newspapers formerly owned by CanWest Global Communications Corp. have emerged from creditor protection. The company announced on Tuesday that it had completed the $1.1-billion sale of the newspapers to a group of its unsecured lenders. The country’s largest chain of newspapers is now owned by new holding company Postmedia Network Canada Corp., and operated by its subsidiary Postmedia Network Inc. Paul Godfrey, the current chairman and chief executive officer of the National Post, now assumes the role of president and chief executive officer of Postmedia. Mr. Godfrey is in the process of appointing his senior staff at Postmedia, including his successor at the National Post. Global Television has named broadcast veteran Dawna Friesen as the new anchor and executive editor of its national nightly newscast. 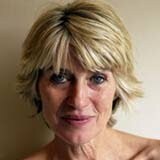 Friesen comes to the job directly from a decade of working for NBC as an international correspondent based in London. Starting in September, she will replace the departing Kevin Newman, who will sign off from Global National News on Aug. 20. The new anchor post will relocate Friesen to Vancouver, the home base for Global’s national news production team. Although Winnipeg-born, Friesen grew up on a farm somewhere between Headingley and Elie, Man. She graduated from Red River College in 1984 and had her first taste of journalism working at a small newspaper in Portage la Prairie. Soon after that she made the move to radio and television. “The reason I got into this business was to give ordinary people a voice,” she said at yesterday’s news conference. She is the second woman to be named a national news anchor in Canada. Last week, CTV announced that journalist Lisa LaFlamme will replace anchor Lloyd Robertson when he leaves CTV National News in mid-2011. Barbara Walters says she is "fully recovered" just two months after open heart surgery. Walters made her first TV appearance since she underwent the procedure to replace a faulty valve in May. In a special broadcast from her New York apartment, she told her fellow panelists on The View she was never in serious discomfort from the surgery. Walters, 80, said she will take the rest of the summer off before rejoining The View in September. Andrew Krystal, talk show host of the Halifax station News 95.7 is leaving to join the Fan 590 in Toronto, the station's news director announced in an e-mail to staff. 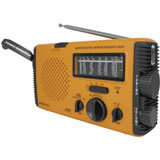 Krystal has kept the Rogers-=owned station on top of the daily news agenda since he helped launch his Maritime Morning show in October 2005, thee-mail said. Krystal's last broadcast in Halifax will be on Friday July 30. Erin Andrews has signed a multi-year deal to stay at ESPN — and the network announced Monday she'll be adding two new shows to her lineup. In addition to sideline reporting, Andrews will join ESPN's "College GameDay" and, in an example of corporate cross-pollination, will now be a regular contributor to ABC's "Good Morning America." Both ABC and ESPN are owned by Disney. The National Post reports that while some have called the $1 million in government subsidies spent to bring the show to the island as wasteful, the province hopes the investment will pay off with heightened awareness of P.E.I., which is heavily reliant on tourism dollars to drive its economy. Maybe a whole new revenue stream for the media. Maybe not so new -- the CBC has always had it. "Canadians really like their reassuring news-delivery people. In this we are either weirdly retro or charmingly loyal. Go figure. You see, in Canada, we follow Canadian sports, read Canadians newspapers and buy books by Canadian authors. We are much less inclined to watch Canadian TV shows. However, we sure do watch a lot of Canadian TV news. We are more than news junkies, actually, we are news-obsessives, " writes the Globe and Mail's John Doyle. With Monday's crucial pre-trial hearings in Omar Khadr's war-crimes case in limbo, the Pentagon relented late Friday by unbanning at least one of three Canadian journalists barred from heading to Guantanamo Bay.The hearings, scheduled to begin early next week, were thrown into doubt Wednesday when Khadr fired his American lawyers with just a month to go before the scheduled start of his trial. Khadr, 23, the only Westerner in custody at Guantanamo Bay and also the infamous prison's youngest resident, is charged with war crimes that include killing an American soldier in Afghanistan in July 2002 when he was 15 years old. Of four journalists barred from the hearings by the U.S. Department of Defense, one of them -- Carol Rosenberg of the Miami Herald -- suddenly found herself back in the Pentagon's good graces on Thursday. The three Canadians remained on the no-go list until late Friday, when the Pentagon informed the Toronto Star's Michelle Shephard she was cleared to travel. There was no immediate comment from the Pentagon on its change of heart. Rosenberg, Shephard, Steven Edwards of Canwest, and Paul Koring of the Globe and Mail were all barred in early May after military officials said they named a witness whose identity was protected. The reporters had tried unsuccessfully to argue that the name of the disgraced former soldier, who interrogated the Toronto-born Khadr in Afghanistan and was convicted of abusing prisoners, was already widely known. They also noted the judge himself made no finding against them. Malaysian opposition leader Anwar Ibrahim’s party has defied a government order to stop publishing its newspaper. The Home Ministry recently suspended the publication license of Suara Keadilan, or Voice of Justice, the weekly newspaper of Anwar’s People’s Justice Party, after it ran an article that claimed the state-run land development agency was in grave financial peril. However, the party distributed 100,000 copies of the paper to newsstands over the weekend by exploiting an apparent loophole in the law, said editor Dzulkarnain Taib. The party gave the newspaper’s latest issue an abbreviated name — Keadilan — to make it technically a different publication from Suara Keadilan. "Long after the network crews had packed up, hours after reporters had filed their stories, Twitter was there, providing real-time news plus links to videos from the protest frontlines. "While news channels — which would later boast of capturing huge numbers of eyeballs — endlessly looped that afternoon’s footage of burning police cars, the news had moved on, to The Esplanade and, later still, to the east end detention centre where yet another group of protesters was encircled and rounded up in the wee hours of Sunday morning. "All of it was available via an iPhone webcast, distributed via Twitter, viewed by hundreds. . . ."
To read her full column click on the title. Do news anchors still carry weight? 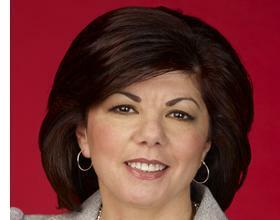 The Star's Linda Diebel looks at the TV anchor's role in the multi-media world. "How much further can TV (and the media in general) go in redefining news as Lindsay Lohan holding up her nails in a California courtroom to show off a rude message? Do we have a better grasp on our world knowing Jake told Vienna to shut up and stop interrupting him on The Bachelorette?" How much were you pushed into retiring? "Not at all. In fact, I had to do the pushing. Ivan Fecan [president and chief executive officer of CTVglobemedia and chief executive officer of CTV Inc.] was absolutely clear. He said publicly and privately many times that I was “anchor for life.” So I had to talk him into him this, and say, “This is what I want to do.” There is a time. Life is all about timing, and this turns out to be the right time. Thirty-five years is a kind of marker." "Chercover’s job was to be part programmer, part diplomat and part psychoanalyst in trying to keep peace in the boardroom. The two powerhouses on the CTV board were John Bassett of Baton Broadcasting, which owned CFTO in Toronto, and Ray Peters of BCTV in Vancouver." -- from the Murray Chercover obituary in Saturday's Globe and Mail. Ira Basen writes on CBC.ca in an intresting column about "citizen journalism:"
During the more than a century that it has spent as the hub of American financial journalism, The Wall Street Journal pioneered the kind of business story that goes behind the scenes and beyond the boardroom. The best of these stories delve into the most minute details – the crucial moment of a late-night phone call, an entente forged over a cup of coffee – to tell a vivid story of how deals are done. War at the Wall Street Journal: Inside the Struggle to Control an American Business Empire, Sarah Ellison's account of Rupert Murdoch's acquisition of Dow Jones and the paper he had coveted, is brimming with such details. She tells you what the players ate, what they wore (down to the colour of the pocket square), what they read, the colour of their hair, the number of a hotel room and the look of a family's furniture after it has been clawed by the cat. Respected to be sure, LaFlamme is also known as a good sioldier who won't cause trouble, internally or otherwise. This choice deflects comparisons with those within the traditionally male network scene in Canada. Story link to National Post. Besides anchoring the nightly news, Robertson has been a key player in CTV's news coverage of special events, including breaking news, election coverage and the network's coverage of the Olympic Winter Games in Sarajevo and Calgary. Robertson began his broadcast career in 1952 at CJCS radio in his hometown of Stratford, Ont. He switched to television two years later when he joined CBC and spent four years stationed in Winnipeg, followed by two years in Ottawa. His strong delivery and unflappable on-air presence eventually led to him anchoring CBC's The National. In late 1976, Robertson joined CTV and for the next eight years he co-anchored CTV National News with Harvey Kirck. When Kirck retired in 1983, Robertson became the network's senior news anchor. 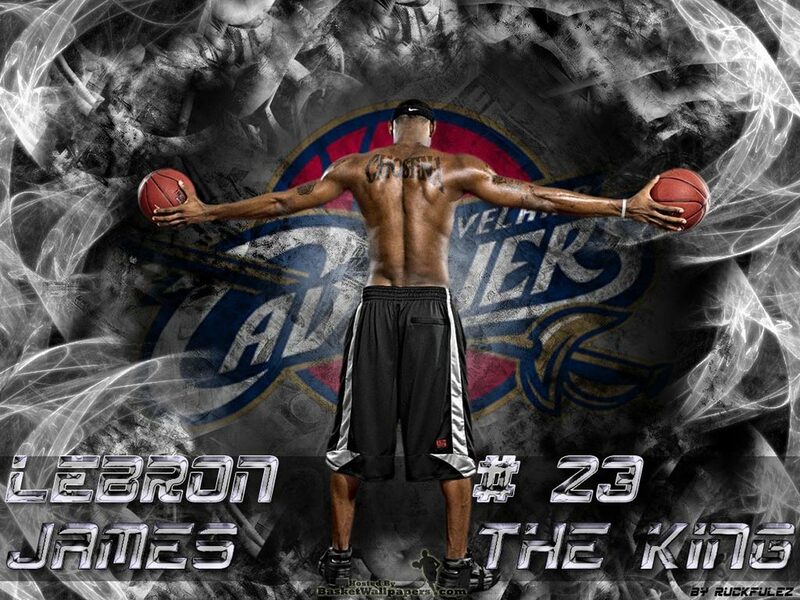 The Decision: media spectacular or simply stupid? Christian Science Monitor on the astonishing media spasm "cooked up" with the eager assistance of ESPN. 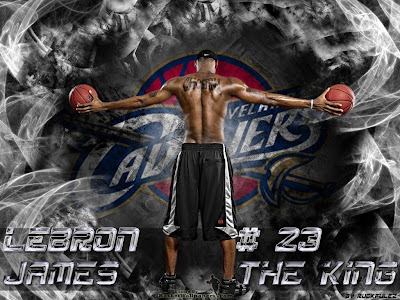 LeBron James is going to the Heat incidentally, after all those commercials got played: The announcement came during the 9 p.m. Eastern time hour-long TV special – "The Decision" – cooked up by James, which was broadcast from the Boys and Girls Club of Greenwich, Conn. The statement upon which the sporting world hung took about as much time to say as, "Man, I'm really in the mood for some chicken wings tonight. Harper Lee credits "talented editor" for "Mockingbird"
84-year-old author of To Kill A Mockingbird, Harper Lee, says a "talented editor" helped her pull together tales of her childhood to create the American masterpiece. The reclusive and self-effacing Lee will not participate in the 50th anniversary celebrations of the book's publication planned by Harper Collins. The novel was written as "a love story" to her father, she says, a small town lawyer in the U.S. South who had defended black men. Detailed USA TODAY story worth a read is linked off headline. Outline of her last hours at CNN. Original post below. Weekly Standard writes as follows: "Mediaite reports that CNN has fired senior editor of Middle East affairs Octavia Nasr (right). As Daniel Halper pointed out the other day, Nasr wrote on Twitter on July 4 that she was "sad" to hear of the death of Hezbollah's Sayyed Mohammad Hussein Fadlallah--a man for whom she has "respect." Fadlallah had justified suicide bombings, is believed to be responsible for the Marine barracks bombing, and had said that "Zionism has inflated the number of victims in this Holocaust beyond imagination." Quebec insiders will perhaps know of the track record of Quebecor Media properties at the Quebec Press Council from which it has just resigned. The blog linked off the headline above provides not a full explanation of the otherwise unclear decision, but is suggestive of one. 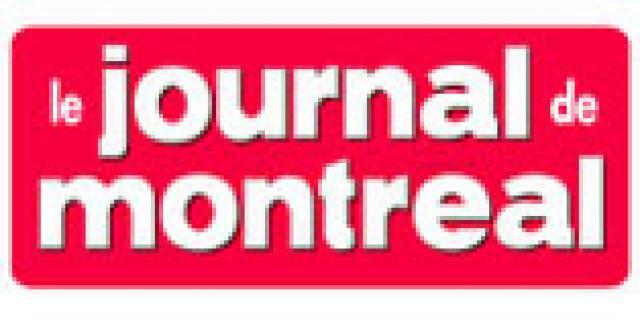 le Journal de Montreal is cited not surprisingly as a big violator of scribbler ethics. Original post on Quebecor quitting is below. Quebecor quits Quebec Press Council -- Why? 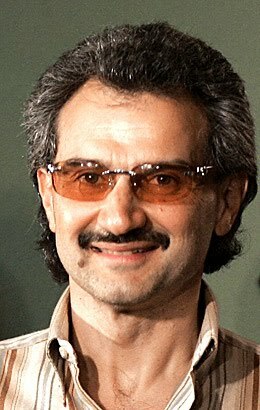 The Kingdom Holding company, headed by Saudi billionaire Prince Alwaleed bin Talal (inset) says it plans to launch a new Arabic television news channel in partnership with the Fox network. In a statement, Prince Alwaleed says the 24-hour broadcast channel "will be an addition and alternative" to Al-Arabiya and Al-Jazeera. Those in the present field all make earnest pledges of impartiality. Here is what Wiki says regarding the other Saudi linked channel Al Arabiya and its competition. "Al Arabiya was created to be a direct competitor of the Qatar-based Al Jazeera. According to a 2008 New York Times profile of Al Arabiya director Abdul Rahman al-Rashed, the station was founded "to cure Arab television of its penchant for radical politics and violence," with Al Jazeera as its main target. Mr. Rashed said that Arab television's coverage of militant groups was overly friendly. "You have to remember, it was television that made bin Laden into a celebrity," Rashed said. "That made Al Qaeda, and its recruiting, and this is how violence spread throughout the region." Rashed said Al Arabiya works to describe incidents of Islamist violence with neutral, non-supportive language. He also said the station had pushed Al Jazeera to be more critical of the insurgency in Iraq. "Now Jazeera is a very soft, reasonable station when it comes to the Iraqis," he said. Al Arabiya has, in turn, drawn accusations of pro-American or pro-Saudi bias, in part due to MBC's Saudi ownership." Some wish for a quick death and the five community papers in Prince Rupert, Nelson, 100-mile House,, Quesnel and West Kootenay got it yesterday. About 40 people will lose jobs, it was said. Among other things, resentment of Anderson Cooper by many and possibility he may leave, frustrated by his ratings. CTV breaks the news that it's long-time chief executive and president Murray Chercover is dead. Sun dispatch from Quebec Media news service suggests they might think twice before dumping CP. Here's the silver copy: "Due to financial difficulties, the Canadian Press is going under a massive restructure by going from a not-for-profit industry co-operative to being under private ownership, the Globe and Mail reports." From the New York Times (edited): The Xinhua News Agency, China’s dominant news service and the propaganda arm of the Communist Party, introduced a 24-hour English-language news channel to be called CNC. It will open a prominent newsroom in Times Square, part of an expensive push to increase the reach and influence of the Chinese news media overseas." BBC take on creation of CNC arm of Xinhua news service. Robert Fulford on Sen. Robert Byrd eulogies: "He was, if you believe what the American media said this week, the soul of the Senate, maybe the conscience of the Senate. It was a spectacular case of egregiously misplaced idolization. While outsiders could recognize his career as an absurdist comedy, the obits made it sound like a heroic saga"
From Wikipedia on Anthony (Tony) Merchant, QC: "E.F. Anthony "Tony" Merchant, Q.C. (born October 19, 1944 in Yorkton, Saskatchewan) is a Saskatchewan lawyer and former politician. He represented Regina Wascana in the Legislative Assembly of Saskatchewan as a Liberal member. He was born in Yorkton, Saskatchewan in 1944, the son of Evatt Francis Anthony Merchant and Sally Smith. Merchant studied at the University of Saskatchewan. 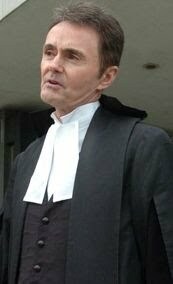 He was admitted to the Saskatchewan bar in 1968, to the Alberta bar in 1976, to the British Columbia bar in 1977 and to the Arizona bar in 1987. He was also host for an open-line radio show in Saskatchewan and a freelance television interviewer. In 1976, he was an unsuccessful candidate for the leadership of the provincial Liberal party, losing to Ted Malone in a bitter campaign that divided and weakened the party. Merchant ran unsuccessfully for the federal seat in Regina East in 1979 and 1980. He was named a Queen's Counsel in 1995. Merchant served as a Lieutenant in the naval reserve. He was a director and partner for several oil and gas companies and has also been associated with real estate development. Merchant also serves as Austrian Consul for Saskatchewan. He is head of Merchant Law Group LLP, which has offices in Montreal, Vancouver, Victoria, Calgary, Edmonton, Winnipeg, Regina, and Saskatoon. The firm employs approximately 150 people and is widely regarded as largest and most successful Plaintiff's side class action firm in Canada. Several of the largest lawsuits in Canadian history have originated from Merchant Law Group LLP's offices. Multi-Billion dollar suits concerning Vioxx, Cell Phone Access Fees, 911 Fees, defective automobiles, and securities. Defendants have included General Motors, Glaxosmithkline, Merck, Honda, Wal-Mart and governments at all levels. Merchant's law firm had major involvement in the residential school lawsuits. The firm was never paid for all the fees earned for its representation on the lawsuit.. Despite his professional success, Mr. Merchant has had some problems with the Law Society: in the spring of 2009, the Saskatchewan Court of Appeal confirmed a decision of the Law Society imposing a fourteen-day suspension for “two counts of conduct unbecoming a barrister and solicitor”. The Supreme Court of Canada denied his motion for leave to appeal. His wife Pana is a member of the Senate of Canada."